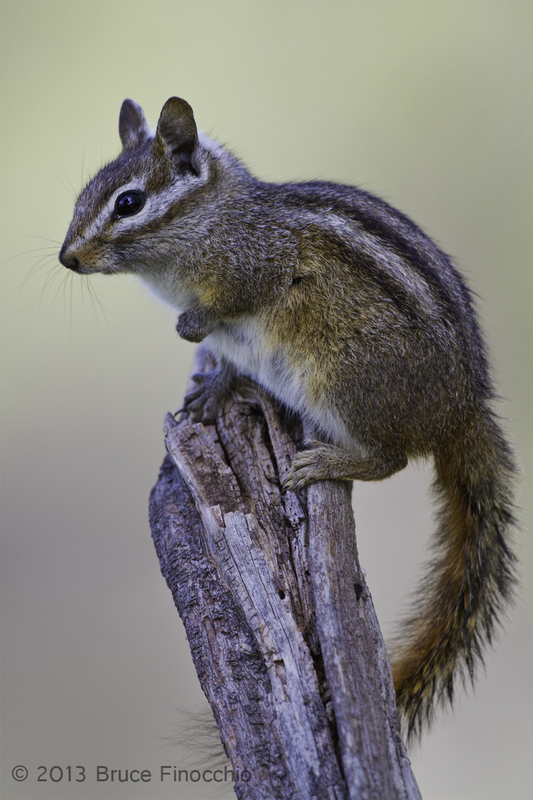 It has come to me; I must become a mother to seven or eight young juvenile Merriam’s chipmunks. Their mothers are gone, passed into the fourth world–never again to suckle these seven or eight youngsters. Was it my fault, yes and no! Am I to blame? I ask myself? The answer is that the mothers are gone, and I now must take the responsibility to keep these youngsters alive. Assigning blame isn’t going to keep these little guys and girls alive. 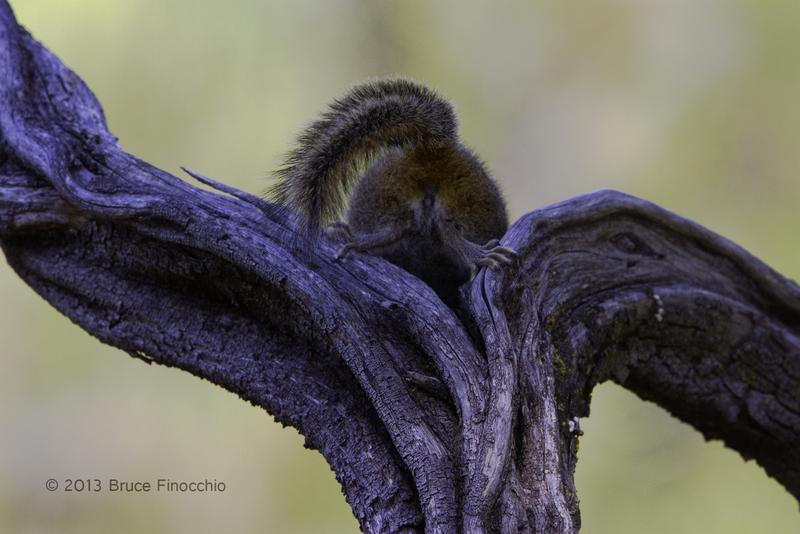 Get them to adulthood, and foraging on their own. So they too, can grow up and raise young ones of their own. That’s now my mission. My friend Randy knows the situation; the task is a bit daunting. I must get them to be independent, but they are going to be dependent on me for a while. It is going to be a step by step process. Tame them, no! Really lead them, to the direction of being wild and able to live on their own. I know that I am being a bit cryptic and mysterious. I have my reasons, and they are good ones. If you want the whole or full story, you’ll have to contact me personally. 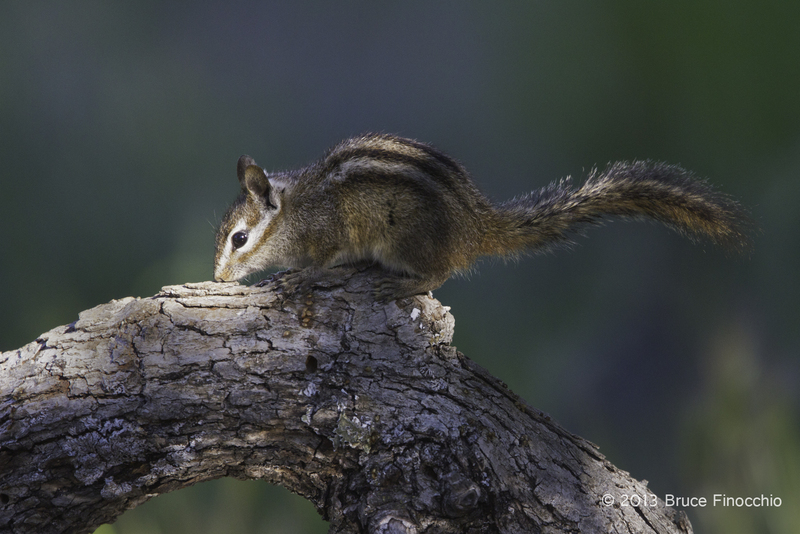 I leave you with a couple images of Chipmunks being Chipmunks. I never cease to marvel at these little dynamos of energy. Their antics always seem to make me happy, and if I am a bit depressed they always lift my spirits. Yet, now too, I realize that even they have moments of dependency, of fright, and loneliness. I am also recognizing individual personalities too. I know that some are going to make it with no problem; others are going to present a great challenge! The first, absolutely the first thing I did when I arrived at the Ramrod Ranch was to go to the bird feed. It’s all in a large garbage can. I have a plastic cup that I use to scoop it out with, so I filled this large plastic cup and headed over to the chipmunk corner, laying out the feed for them. They have been living on the thistle seed, and I put out a large pile for them. I figured that they would be starving… I was right they were! But this mother was too late for two of them; I found one laying dead close to the area where I left out the seed. I put out a lot of seed before I left, was it not enough? Did I make a mistake? Or was this little chipmunk just too weak to survive. Later in the day, I found another dead chipmunk close by, they were so young. They just did not make it. Sorrow was in my heart, I had failed two young lives. However, my spirits were buoyed by the flourishing four others who scamper down and came to eat the feed I had left. At least four made it, so far, not sure where the other two are, I know that last time I had counted at least seven. Maybe, the other two were off on their own; I heard at least one down by the barn when I came back from the blind midday and finished photographing. 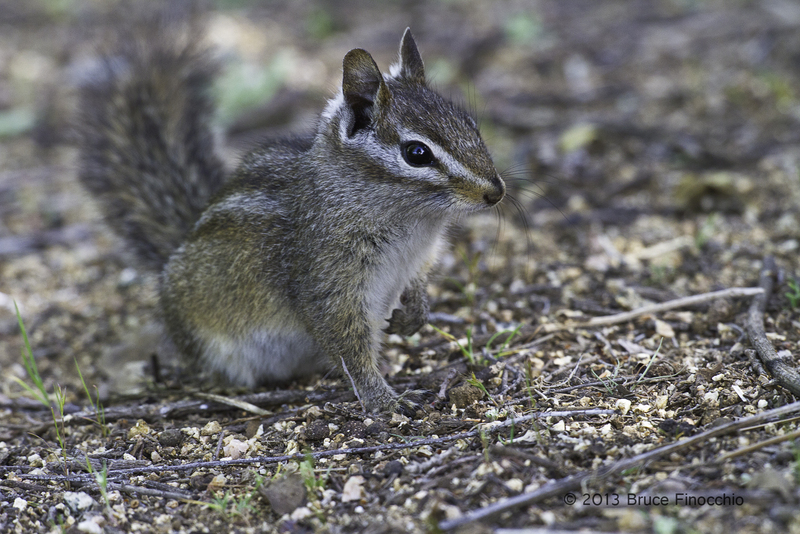 A week later I was relaxing in the yard one late afternoon, when a chipmunk came hopping down the yard to the base of the big oak tree by the cabin. It started feeding on some of the grasses around this oak tree. Yet, its movements were kind of slow and not chipmunk like at all. When, it turned toward me, I could see a strange glow in its eye. At first, I thought it might be just the light. I got up and I took several pictures of it, and then I checked the back of my camera and the images still showed this strange glow. I didn’t use flash so that could not be it. I gathered some food (bird seed), and gently walked over to it. I placed the food right in front of it, stepped back and watched it for a while. Eventually, the young chipmunk began eating the bird seed in front of it. The movements still were slow. I went back to my chair and watched it for a while. It seemed to get disinterested in the food. Then, it tried to climb up the trunk of the big oak tree next to the cabin, but it didn’t make it too high, and almost felled back to the ground, like it didn’t have enough energy to make it up the tree trunk. On the ground not long after, it squeezed between the cabin boards and went underneath the cabin. This is the last time I saw it. 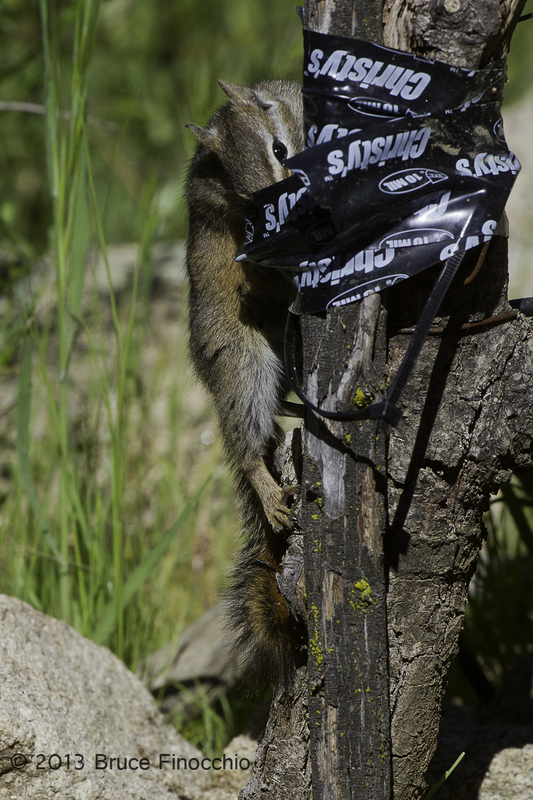 After reviewing the images and thinking about its slow mechanical actions, I realized that the chipmunk was blind. That’s what was accounting for that unusual glow in its eyes. It never did see me as I placed the bird seed inches from its body. I talked to my doctor about a week later and she said that one of the affects of starvation could be blindness, not enough nutrients for proper eye function. I am sure this little chipmunk did not make it…very sad! The good news is that the four remaining juvenile chipmunks hanging around the corner by the bathroom door and on top of the old jerky cage seem to be doing well. Each week I left some bird seed for them. Then, as the weeks passed by, they seem to be foraging on their own, and venturing out from this little corner. I began to see and hear them down by the barn. So go life, and the saga of my little chipmunks! Very interesting about the personality differences. You have a big job on your hands. It won’t be easy to let them go. Thanks for sending this. Thanks Peggy! Yes, it will be hard, but I think that is better for them to be wild.